So begins this exquisite novel about a Chinese American family living in 1970s small-town Ohio. 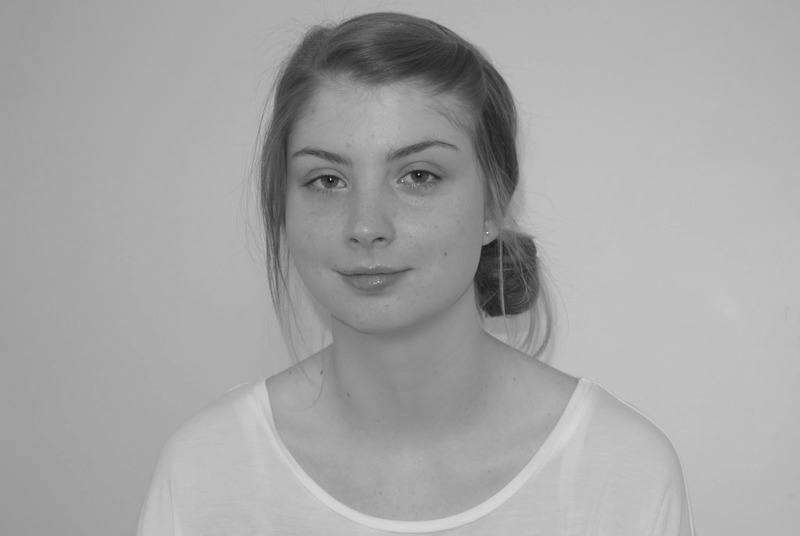 Lydia is the favourite child of Marilyn and James Lee, and her parents are determined that she will fulfil the dreams they were unable to pursue. But when Lydia's body is found in the local lake, the delicate balance act that has been keeping the Lee family is being destroyed, tumbling them into chaos. The book opens up with us learning of a death in the Lee family - middle daughter, and arguably favourite child, Lydia. Everything I Never Told You, initially and on a surface level, gave me mystery/thriller vibes, however it is so very little that and so much more a deep scope and portrait of the individual members of the Lee family, both in the run up, and aftermath, of Lydia's death. 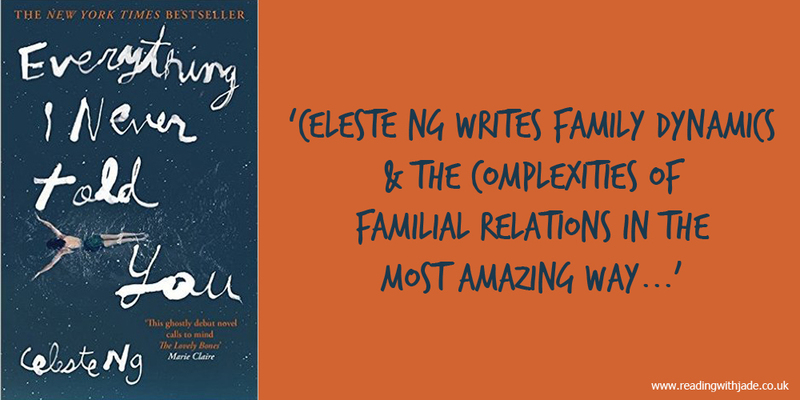 Celeste Ng writes family dynamics & the complexities of familial relations in the most amazing way, whilst also delicately, and candidly, tackling prejudices of the time in which the book is set. 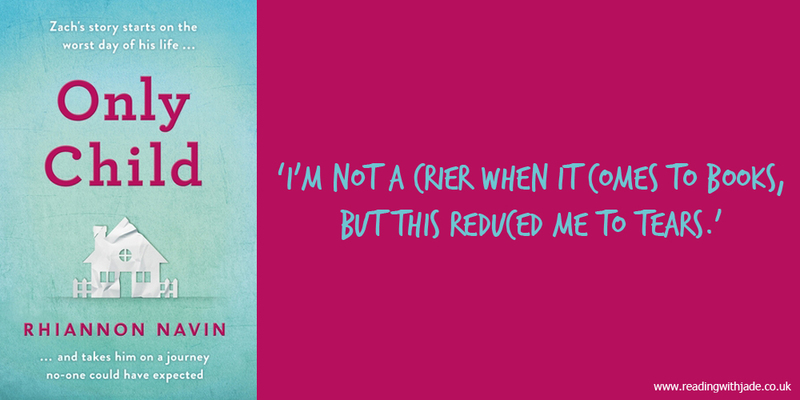 Everything I Never Told You is the perfect title for the book, and it makes for a poignant and thought provoking read. The Joy of Forest Bathing is a beginner's guide to forest bathing - or Shinrin-yoku, in Japan - the meditative practice of connecting with nature and disconnecting from the distractions of daily life. Reduce your stress and anxiety levels as you enter a nature filled journey. Forest bathe through the seasons while also learning how to deal with difficult situations. Get enthralled in the landscapes around you as you discover the health benefits of reconnecting with the wild. This helpful guide is useful for all ages and stages of life and will help you incorporate the wonderous world of nature into your everyday life. The Joy of Forest Bathing is both an invitation to take up the practice of forest bathing and inspiration to heal both the planet and humanity. As someone who finds a lot of peace, calm and tranquillity in the outdoors, I was really keen to learn more about the Japanese tradition of Shinrin-yoku, which is more commonly known as forest bathing in western countries. The Joy of Forest Bathing is an insightful read; not only did the author teach us a little about the history of forest bathing, and about its many benefits, but also her own experiences as a trained forest bathing teacher. I really liked the little anecdotes and quotes that she shared throughout, as well as safety measures, and how you can forest bath throughout all four seasons. 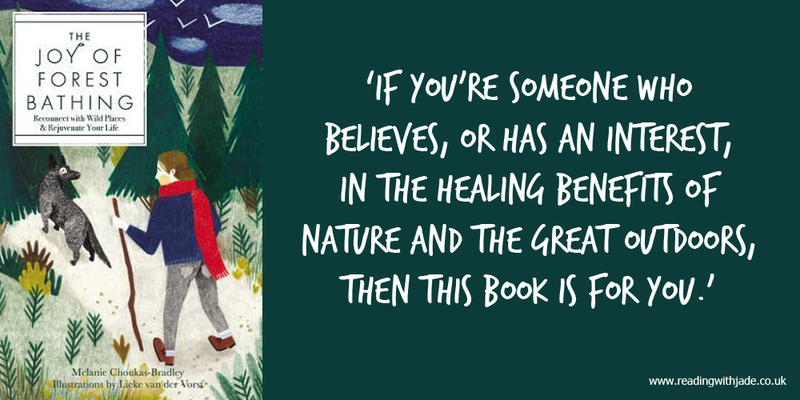 If you're someone who believes, or has an interest, in the healing benefits of nature and the great outdoors, then this book is for you. 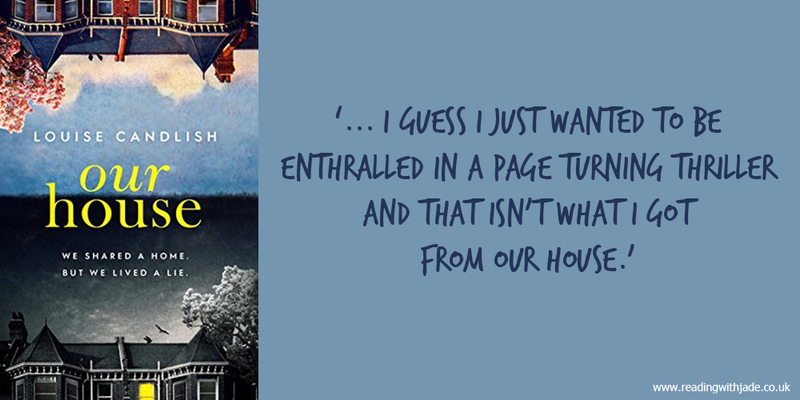 When Fiona Lawson comes home to find strangers moving into her house, she's sure there's been a mistake. She and her estranged husband, Bram, have a modern co-parenting arrangement: bird's next custody, where each parent spends a few nights a week with their two sons at the prized family home to maintain stability for their children. But the system built to protect their family ends up putting them in terrible jeopardy. In a domino effect of crimes and misdemeanours, the nest comes tumbling down. I found myself coming away from Our House quite conflicted; on the one hand, I thoroughly enjoyed the plot of this book (some good twists and an amazing ending!! ), but on the other hand, it just felt so long! At times I felt like I was slogging through the book, which isn't something I've experienced in a mystery thriller that I am in fact enjoying. Our House is over 400 pages long, and I just don't think the length of it is necessary. I understand why it is so long, especially with the story telling method of pre & post crime as well as the dual perspective, however I guess I just wanted to be enthralled in a page turning thriller and that isn't what I got from Our House. Squeezed into a coat closet with his classmates and teacher, first grader Zach Taylor can hear gunshots ringing through the halls of his school. A gunman has entered the building, taking nineteen lives and irrevocably changing the very fabric of this close-knit community. While Zach's mother pursues a quest for justice against the shooter's parents, holding them responsible for their son's actions, Zach retreats into his super-secret hideout and loses himself in a world of book and art. Armed with a newfound understanding, and with the optimism and stubbornness only a child could have, Zach sets out on a captivating journey towards healing and forgiveness, determined to help the adults in his life rediscover the universal truths of love and compassion needed to pull them through their darkest hour. Only Child is heavy, heart breaking, beautiful and left me feeling all the emotions. I'm not a crier when it comes to books, but this reduced me to tears. The story as a whole is powerful & poignant, with such a tenderness also. As I mentioned, Only Child is a heavy read, with child narrator Zach sharing the aftermath of a school shooting in which he was present, and his family has been left truly devastated by. We watch on as Zach and his family fall apart, but also as they drawn back together again as a family unit. There is a scene within this book that really sticks with me: when Zach, this little six year old boy, is attempting to understand and process all the many emotions he is feeling at the one time, and they way in which he does this is by painting; assigning each emotion to a colour - painting each colour on an individual sheet as it is easier to process the feelings one at a time as opposed to all mixed up. It is just so pure and yet heart breaking. Blown away by this book and the fact that it is a debut novel; Only Child is my favourite book of the year! Great reviews! I look at Everything I Never Told You whenever I go to the store. Someday I’ll actually buy it! I recently read Everything I Never Told You too! Ng writes family stories so well. Have you read Little Fires Everywhere yet? I have, yes - I actually read them in reverse order! I thoroughly enjoyed that also, and would recommend if you haven't read it yet. Everything I Never Told You has me curious as I've seen a lot about her Little Fires Everywhere. Been wanting to try her. The Joy of Forest Bathing also looks really nice. Our House sounds interesting but yeah, maybe a little too long from the sounds of it. I would definitely recommend Celeste Ng's books - although I read the in reverse release order, I would start with Everything I Never Told You, if you were looking to pick up a book of hers. Mmm... Our House has had a lot of hype here in the UK. It's funny, I completely agree with you about Everything I Never Told You and Our House, but Only Child wasn't my favorite. I had a really hard time with the parents in the story, especially the mom. I thought that even in their grief it was so awful how they basically ignored their younger son and all he'd gone through. I'm glad it worked so well for you. I totally agree with what you say about the parents in Only Child - I felt exactly the same myself with regards to their actions and parenting; it was Zach who made the book for me. Ok, I am adding Only Child to my list for sure, great review. I tried Everything I Never Told You, it was a DNF for me but more then a year ago so I don't remember why, maybe I will give it another go. Everything I Never Told You has been sitting on my shelf for ages. I really need to read that. It sounds like a beautiful story.